It is preferred that the document is certified from the Secretary of the State in which the notary is licensed. 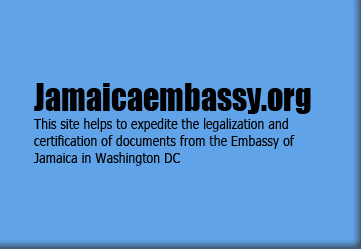 In urgent cases when the customer needs the document immediately, US Legalization will authenticate the signature of the notary, certify the authentication from the MD Circuit Court, MD Secretary of State, US Department of State and the Embassy of Jamaica. The total amount is $118.00. Approximate turn around time: 2 business days (does not include mailing time).